Leaders in local fundraising raise awareness for the career - The Resident Community News Group, Inc. | The Resident Community News Group, Inc. Regardless of the title – development director, charitable gifts administrator, director of funding – the people who fill those roles all have something in common. They are professional fundraisers, specifically to generate philanthropic support for a wide variety of charitable institutions. 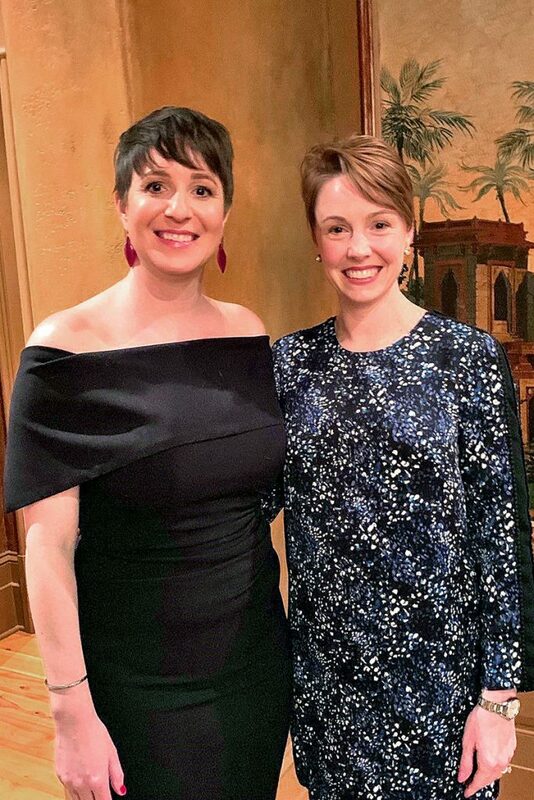 Guided by a 59-year-old organization – the Association of Fundraising Professionals – people, like Courtney Weatherby-Hunter and Annie Tutt, who choose to make a career of gently twisting arms are raising awareness not just about their nonprofits but about their profession. Weatherby-Hunter, president of the AFP’s First Coast Chapter, said she joined the Chapter in 2008, the same year as Tutt, immediate past-president. Both residents of San Marco, the women’s journeys into fundraising had different beginnings. “I started my development journey as a student fundraiser for Dance at the University of Florida. I have been a development professional for almost 16 years,” said Tutt, while Weatherby-Hunter said she had always “dabbled in it” since her first job as a case worker at Guardian ad Litem but has been a professional fundraiser now for 10 years. Although she doesn’t wield the gavel now, Tutt said she is passionate about increasing the recognition of AFP’s role in hosting National Philanthropy Day. “I see the NPD event as a great way to encourage new organizations to get involved with the Chapter, grow membership and highlight the incredible work of even more local nonprofits,” she said. For those on the fence about joining the AFP, Tutt offers some good advice. “The greatest value of the Chapter is in the people you meet. These professional connections and friendships are a virtual team that is always in your corner. They will take your calls when you need support, they celebrate your biggest wins with you, and they challenge you to continue to grow,” she said.